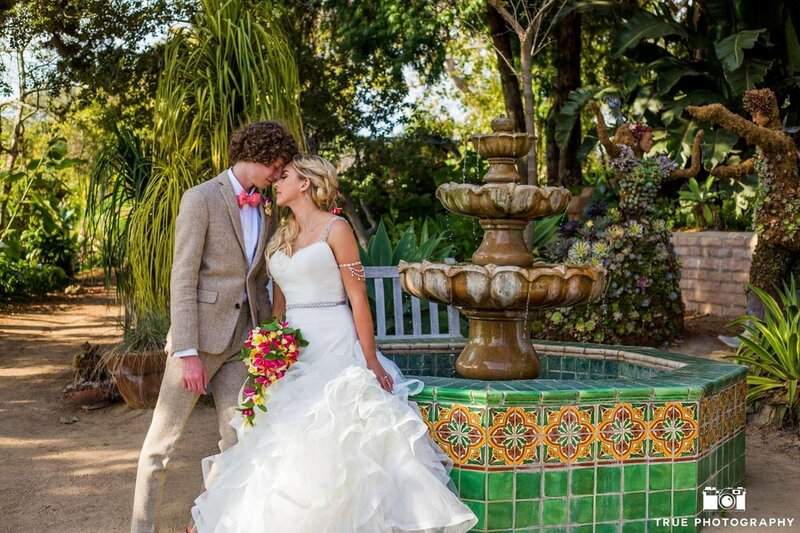 Michelle and Cameron pose by a fountain after their wedding ceremony at the San Diego Botanic Garden. Michelle and Cameron made their special day a destination wedding for them and many of their guests. And there’s not much of a better place in North County San Diego than the San Diego Botanic Garden. There were some great musical highlights as well, which included a Polynesian dance (led by Michelle) and some interesting covers for their first dance and the father/daughter dance. Michelle’s musician dad, and a total rocker, chose to dance with his daughter to Sweet Child ‘O Mine. This would have been epic with Gun ‘n’ Roses, but he found a sweet, acoustic, mellow version. A version I had never heard before. And for their first dance, Michelle and Cameron chose the classic Elvis Presley tune, Can’t Help Falling In Love. However, it was a version performed by 21 Pilots. Some great moments and great music. Here’s the rest of the setlist. A highlight for me was the coffee bar Michelle and Cameron set-up at their wedding. Crystal and Logan celebrated their wedding at Ponte Winery in Temecula on April 8, 2018. Every so often I meet with a prospective wedding couple and the connection is instantaneous. It probably helped that Crystal and Logan are dog people and Crystal is a spin/cycle instructor at a studio that I’ve DJ’d a few ties (as well as the weddings for other instructors). I greatly anticipated their April 8, 2018 wedding, which took place at Ponte Winery in Temecula. 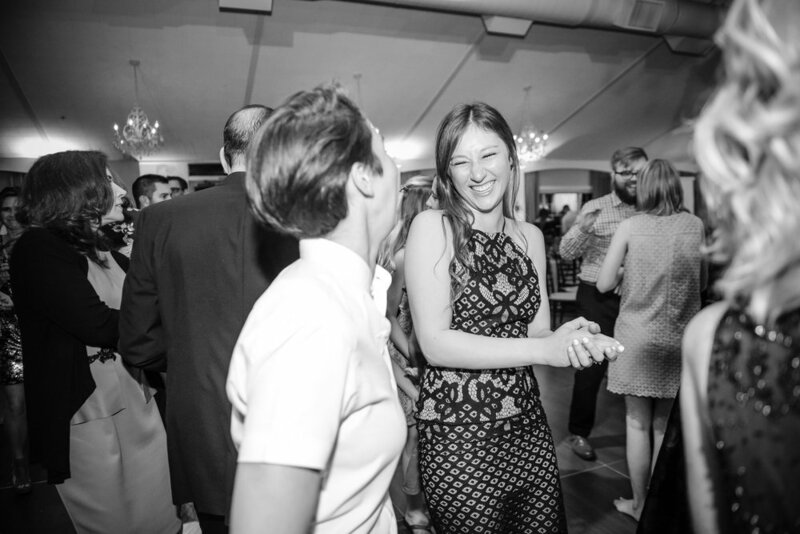 There was no shortage of dancing (Crystal, after all dances on a bike weekly). It even included a spectacular tandem maid of honor toast, which was more of a song and dance performance. Overall it was a great celebration and I look forward to a continued friendship with them! Here’s a look at the setlist and be sure to scroll to the bottom to see their wedding highlight film. 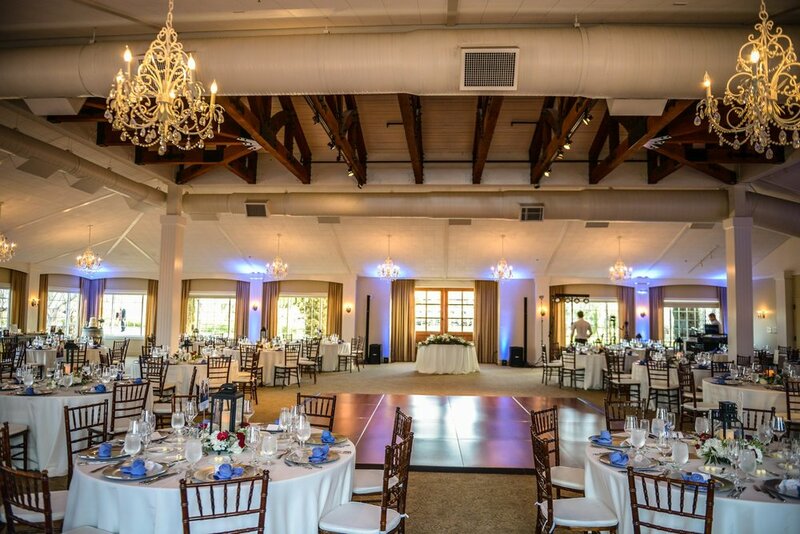 Ponte Winery’s Vineyard Pavilion with uplighting for Crystal and Logan’s wedding. The Vineyard Garden, set-up for a wedding, at Ponte Winery. Rachel and Ben’s wedding ceremony at Brick events center in Liberty Station. 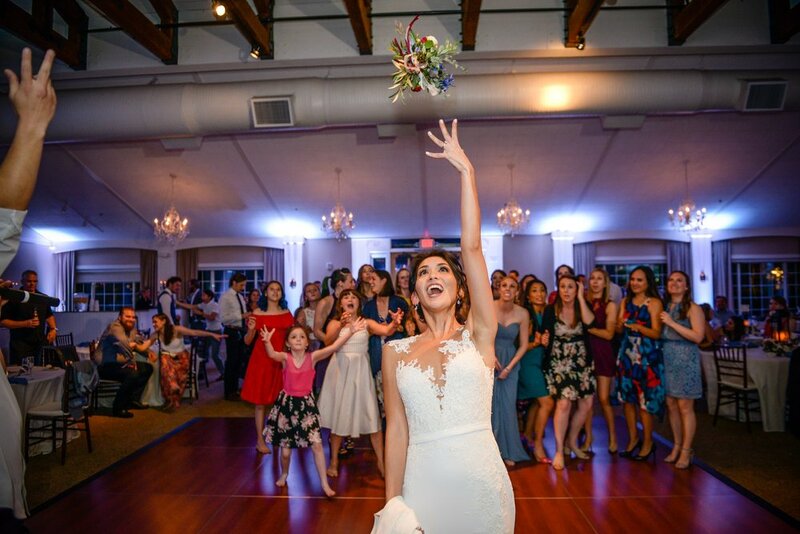 Rachel and Ben put together a fabulous Friday night wedding party at Brick on April 6, 2018. 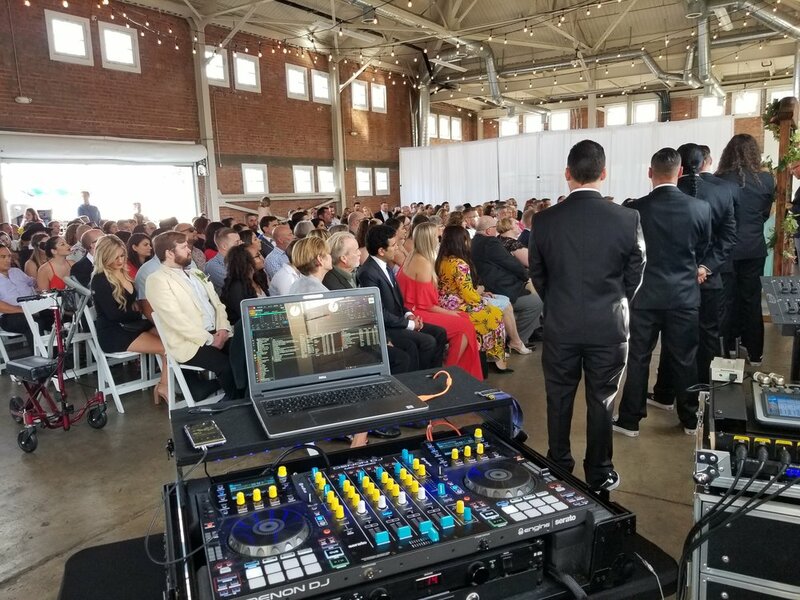 They packed in 200-plus guests in the event space located in Liberty Station and had both their ceremony and wedding dance party inside. Here’s a look at their setlist for the night.